CAIT has organised more than 250 trainings with partners since 2015, including “Train the Trainer” workshops in over 50 cities across the country through which we were successful in reaching out to over 300,000 traders. CAIT was also fortunate to receive letters of appreciation, with words of encouragement in continuing our efforts, from both Honorable Prime Minister Shri Narendra Modi and Union Minister of Finance, Shri Arun Jaitley. Created over 1,500 trader champions across several states through our ‘Train The Trainer’ program. The trader champions are entrusted with promoting the message of adopting electronic payments and through their outreach, we have managed to reach approximately 300,000 other traders nationwide. Reached over 2,500 industrial associations under CAIT, across industrial sectors across 17 states. Conducted over 250 workshops, seminars and trader conferences emphasising CAIT’s commitment to accelerate use of digital payments. The paper focuses on how digital payments increase transparency, reduce leakages, reduce the cost of cash management and enable effective taxation, thus shrinking the size of shadow economy. 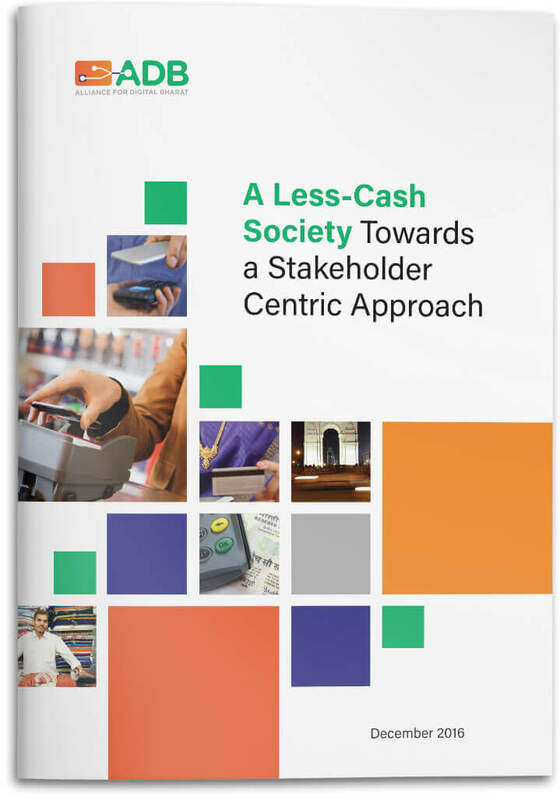 For businesses, the paper demonstrates how digital payments reduce time and money spent on cash management, increase consumption and add efficiencies both within enterprises and in their supply chains. 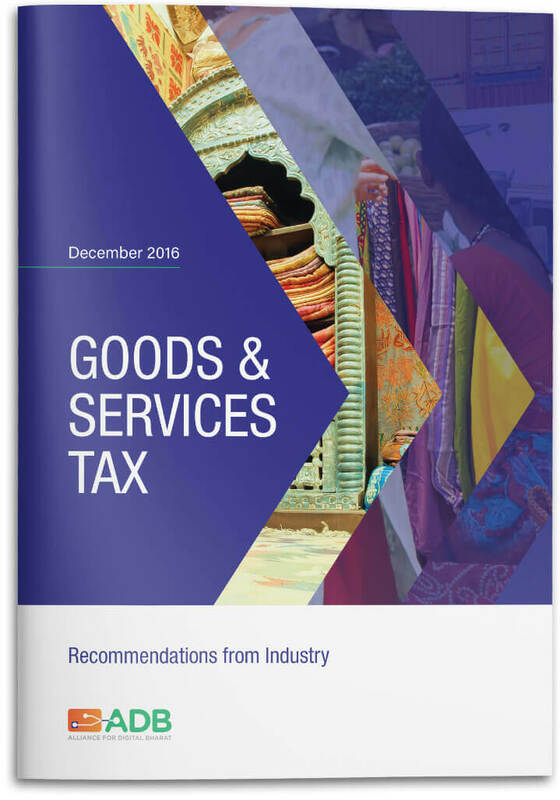 The paper lends insights to how the adoption of Digital Payments will help a smooth GST rollout for the business community –as it will make the informal sector become ‘formal’ and minimise the use of cash. This will also ensure that all traders are able to develop a credit history, making cheaper loans and borrowings easier. More funding means greater growth and profit. Successful adoption of digital payments is a catalyst for smooth adoption of GST by small and medium-sized traders and merchants, who form the bedrock of commercial enterprise and are integral for the future growth of India. Micro Small and Medium Enterprises (MSMEs) contribute about 37.5 percent to India’s GDP, account for 40 percent of total exports and employ up to 10 crore people (GOI, 2015). Despite this, access to finance remains a systemic concern in the sector. Almost 87 per cent of MSMEs have no access to finance and merely 11 per cent have access to institutional lending (4th All India Census on MSMEs). 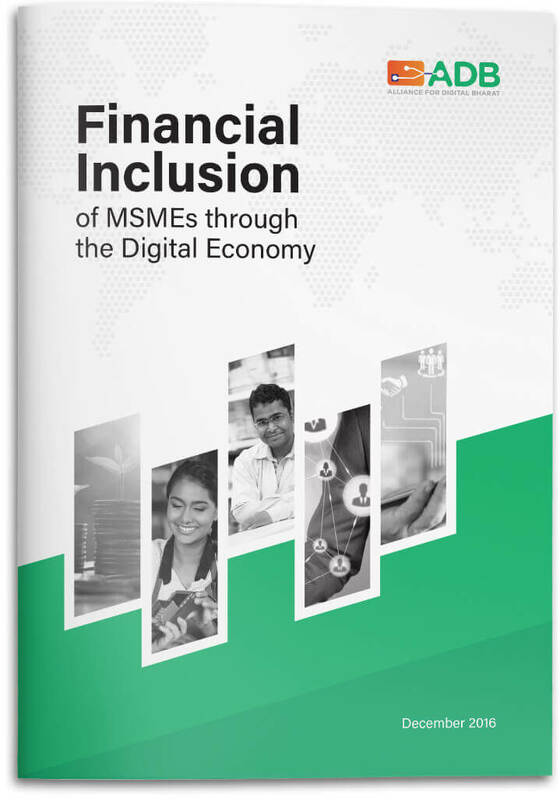 Paper focuses on incentives needed for Digital Onboarding and driving Financial Literacy for MSMEs.